Fold-able and compact, the Ladder Platform offered from GME is able to be used on sheet pile, slide rail and trench shield projects. 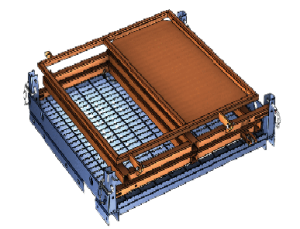 Featuring a swing through door, a ladder arm and security chain, the Platform offers a complete system for accessing a sheet pile or trench shield\slide rail excavation. 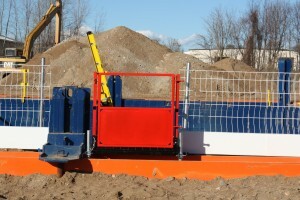 The lightweight Platform from GME is designed to allow easy and safe access to the excavation. Featuring an expandable ladder post and ladder clamps that securely fasten the ladder at the correct angle, enabling a safe side entry to the ladder. The Ladder Platform from GME pairs seamlessly with the Trenchguard fencing system.